What Thickness Glass For Shower Doors And Enclosures? A frequent question asked is, when it comes to 8mm v 6mm v 4mm glass on shower enclosures / doors and bath shower screens what thickness glass should you chose? All shower enclosures / doors sold in the USA have to pass stringent tests and must be made with toughened safety glass. 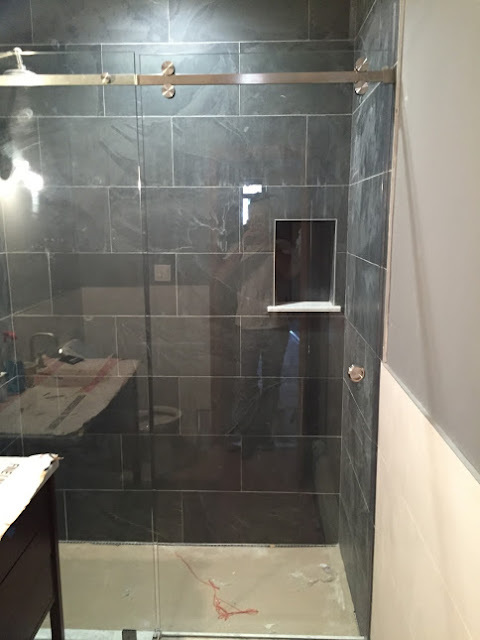 Is Shower Glass Thickness Just Vanity? At Shower Enclosures Direct we believe that the thickness of glass is dependent on the type of shower enclosure you require. Some enclosures would not perform to their fullest potential and the life span of the product would decrease if the thickness and weight where too much. 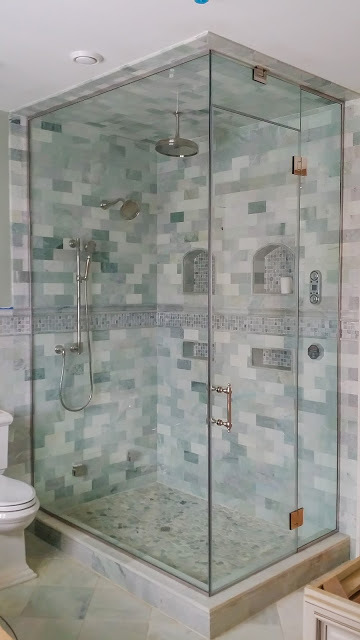 If purchasing a shower enclosure with a thicker glass enclosure, you may need to consider will the rollers / pivots / hinges and screws be able to carry the additional weight with ease and have the mechanisms for the shower enclosure / door been built to withstand the additional weight for it not to affect the lifespan of the product. For example, the overall weight of a 10mm glass thickness bath screen would stop you from actually pulling / pushing the screen back and forth for use, thereby stopping the functionality required (the rise and fall hinges would become redundant). Read our blog for an in-depth view on what toughened safety glass is and why every shower enclosure is made from it. Toughened safety glass is used for every shower enclosure / screen and is for your own safety. Unlike untreated glass, safety glass is designed to shatter into small droplets ensuring you will not be harmed in the event of the glass breaking. 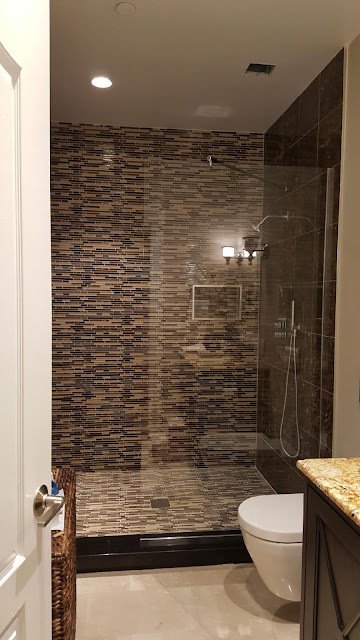 Untreated glass will break into sharp shards and cause serious injury / damage if broken when the shower is in use, thus the reason why toughened safety glass is used in all glass showers. We recommend that any wet room or walk-in shower enclosure should be made with 8mm toughened safety glass, being a substantial thickness for the application of the enclosure. The frameless design lends itself to the high quality thicker glass and creates a substantial feel. We do stock 10mm thick enclosures but feel the 8mm is more than adequate. 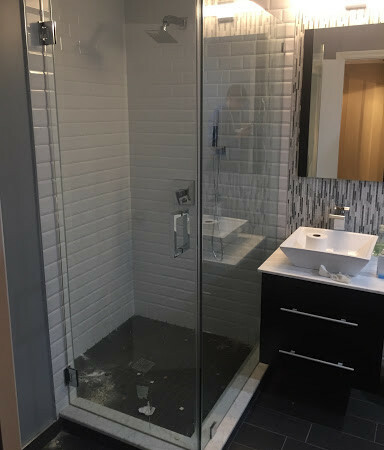 If you wish to have a 10mm shower enclosure we would only recommend a walk-in or wet room, this style of shower cubicle lends itself to the extra weight and creates a luxury designer finish in any home bathroom or en-suite. At Shower Enclosures Direct we recommend 6mm as the optimum thickness for a sliding shower door, as it provides substantial thickness for your own safety and creates a solid feel to the shower door. Sliding shower doors work using rollers and 6mm allows for a gentle / gliding motion with minimal effort. We do not recommend any sliding shower doors below 6mm thickness as they feel flimsy and have a less then desired finish and quality. The curved glass shower cubicle provides ample space for showering whilst maximising your bathroom floorplan. Quadrant and offset quadrant shower enclosures are sold with 6mm and 8mm thickness glass. This is the optimum thickness for a shower door which uses rollers to slide back and forth, giving a quality finish and ensures the longevity of the product for every day use.